TORY ROOF is a woman’s story – an unexpected romance and account of bravery – that pits logic against longing. The story takes Sarah Sutherland from the safety of her contemporary New England home into the arms of a fiery Revolutionary War agitator. In the process, she discovers her own independence and why she was chosen to traverse time. The present-day plot unfolds throughout the course of a year and dovetails with actual events in 1765. In trying to reconcile the two, Sarah learns that people around her are not who they seem, and that greed can infiltrate even the noblest agendas. NOT SURE? Enjoy a complimentary sample of Chapter One. Viewable on most browsers and mobile devices. “Historical fiction meets Dr. Who. And yes, I have a crush on Sarah.” — S.M. “The book is awesome. I can’t wait for the next one.” — L.G. “Just read the preview and I’m hooked.” — M.M.B. “I ordered Tory Roof from iBooks. When I started it, I thought it was going to be a nice, commercial story. But it’s so much more! It’s cinematic.” — M.O. 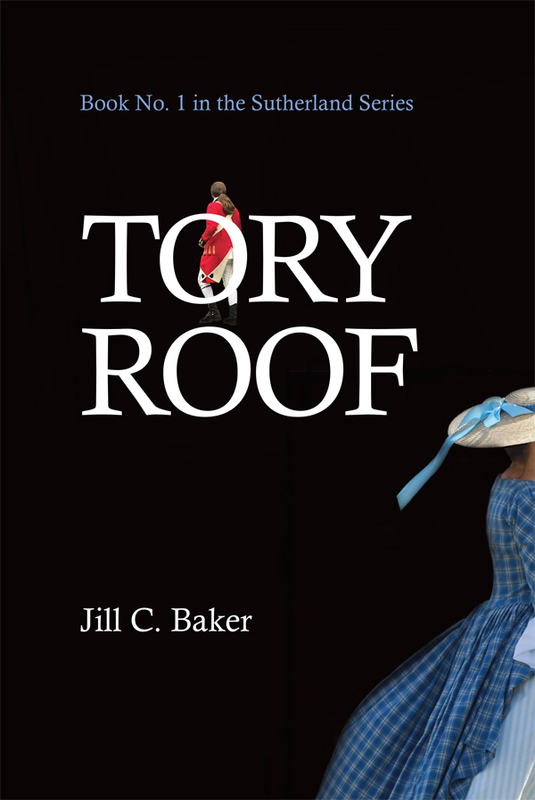 “I’m reading #ToryRoof by #JillCBaker and love it. It’s so frickin’ good and I typically don’t read too much fiction these days.” — S.H. “Wonderful journey with great characters and a beautiful detail of history.” — D.G.B. “I love it so far! Have read almost a third of it since last night. Very compelling. Didn’t want to stop reading it! — M.S.C. “I read the excerpt for Tory Roof and loved it.” — T.B. “I’m donating one to the Library and giving one as a gift….will be giving more as gifts later.” — G.G. “My printed copy of your book is coming tomorrow.” — A.P. “Just downloaded to Amazon Kindle.” — S.B. “Are there local places selling #ToryRoof? Amazon paperback will not arrive until Dec. 28. Want to give a copy to my girlfriend on Sunday. I gave my copy to my mother.” — V.V. 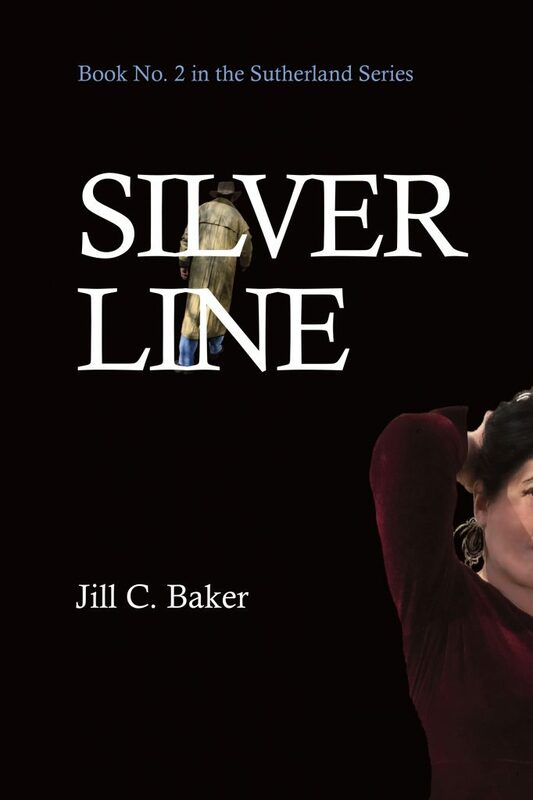 SILVER LINE follows a casual college couple who discovers they can revert to their former, older selves living as a miner and dancehall girl in a bawdy 1860s Colorado town. Jared Sutherland (Sarah’s son) had repressed these precognitive skills, until Alexa insists they are a gift. He finally agrees to use them to help solve a modern museum heist—and to travel back in time, lured by the romance of their alter-egos and adventures in the untamed West. Together, the twosome discovers that clues to the present lie in the past as their innocent attraction matures into something more. ABSENT invites the average man – or the woman who loves one – to embark on a quest for self-improvement. When Carter Sutherland (Sarah’s husband and think tank executive) meets the lovely Tracee Green, a synesthete who sees words as colors, little does he know she will take him on four sensory-rich journeys that alter his black-and-white world. Regressed through several personas, past and future, he gains emotional intelligence and personal insight that helps him at work. But he also stumbles into black-market dealings and a situation he can’t escape.